Hello everyone. My name is Todd Vendituoli and I will be posting as a contributor to this blog on a monthly basis. I am looking forward to writing about tile from a builder's perspective and thank Bill Buyok of Avente Tile for the opportunity. If you would like to have a look at my blogs they are: http://www.thebuildingblox.com/ where I look at everything concerning construction and the many aspects of your home. I also write http://www.socialmedia4builders.com/ which is all about social media and not just for builders. I have been a builder for 27 years mostly in New England and more recently in the Bahamas and have done an array of projects in that time including new homes, remodeling as well as commercial renovations. On this blog we will be looking at tile, of course and I look forward to hearing from you and discussing any aspects that may be of interest to you. So don't be shy- suggest a topic, ask questions and enjoy. Today I thought we would start by looking at the difference between "ceramic" and "porcelain" tile and as I recently heard - I know there’s a difference but what is it? Ceramic tiles are made from red or white clay and fired in a kiln. These tiles are usually glazed and are good for low to moderate traffic but they will absorb more water than porcelain tile and are not suitable for frost areas. Yet there are many areas that ceramic tile works beautifully such as counter tops, back splash areas and lower traffic areas. They can easily be used in baths too. Porcelain tile are made by using a dry press method under high pressure and then fired in kilns so they are much denser and when glazed, they are highly resistant to water absorption. They are suitable for high traffic areas and are frost resistant. modern kitchen design by portland architect Giulietti Schouten Architects http://st.houzz.com/simages/91561_0_8-4420-modern-kitchen.jpg Surely a high traffic area with accent pieces to pick up the back splash of the stove. So you may be wondering why I decided to open my first post here and discuss the differences between ceramic and porcelain tile and the reason is that it is important to know where each can be used properly. As a builder using tile in the Bahamas, it isn't too hard as there is no freeze/thaw cycle here. However in New England it becomes a different story all together. I recently wrote about this difference in an article for the Coverings Trade Show blog, Tile from north to south: a builder’s perspective. Hope you'll take a look. A client may want a certain tile but their choice is a ceramic tile that will be used on a patio in Maine. Yes it will work for that first season and if you haven't informed them that their choice is ill advised, you will more than likely be hearing from them again next spring. Ceramic tile is not suitable for frosty areas. Sadly I doubt it will be a happy conversation or an invite to have a cookout on their patio. There are many components that should be considered when choosing tile such as water absorption, wear rating, slip resistance and to throw in a new term, vitreous. "Vitreous tile absorbs only 0.5% to 3% of its weight in water and it's a rating you want to see if you're using a tile outdoors or in an area where there's a lot of moisture present." 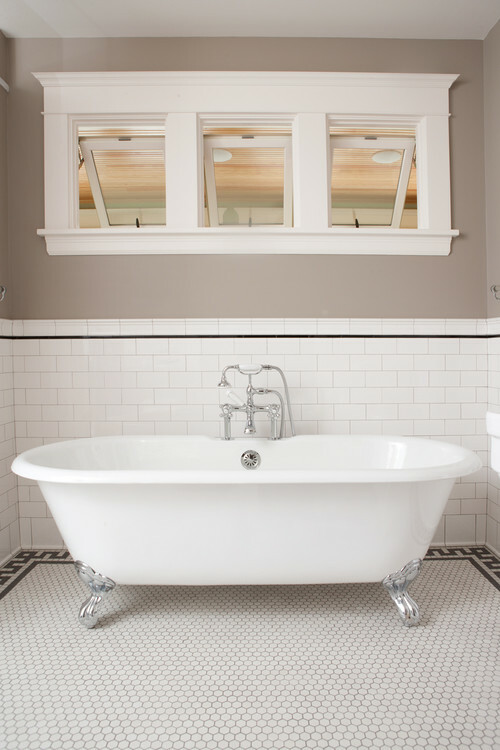 For some further reading have a look at this article in Houzz.com by Paul Anater that's loaded with information on choosing tile: How to Shop for Tile. If moisture and/or freezing conditions are issues that you need to consider, its not always safe to assume that porcelain is the solution versus ceramic tile. 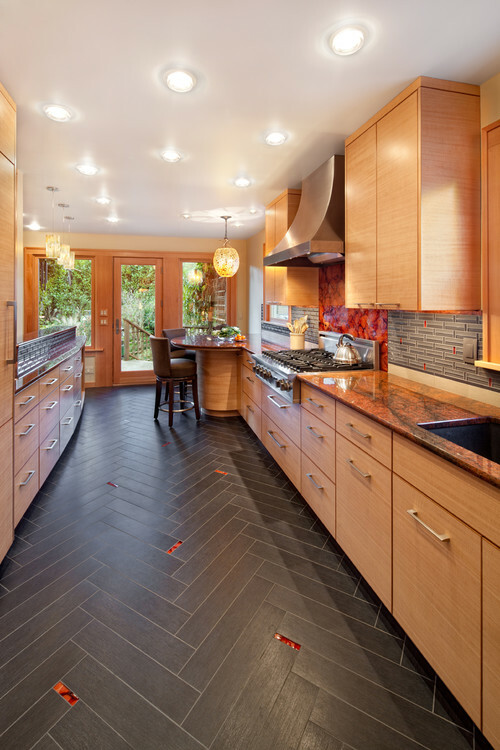 The important factor should be whether the tile you will purchase and use is a vitreous tile. Are you hoping to use a cement tile that can withstand a freeze/thaw cycle for your project? You may want to have a look at the Yucatan tile line that Avente Tile offers as it is a vitreous ceramic tile and has many color choices for you to consider. A vitreous tile like the Yucatan Balboa can be used in freeze/thaw locations. Knowing the difference in the characteristics and suitable uses of the tile that a client chooses can make the difference between a successful project and a happy client or a project that comes back to haunt you. Knowledge is the key! Don't miss our newest addition of hand-painted art tile, Inner Piece. This unique collection of tile includes bold 6"x6" tiles that captivate the eye with their rich use of texture, contemporary patterns and warm, bold Mediterranean colors. The line also includes an extensive collection of 2"x2" mosaic tiles or dots representing the artist's interpretations of the elements of Air, Earth, Water and Fire. There is also a collection for the seasons of Fall, Summer and Winter.